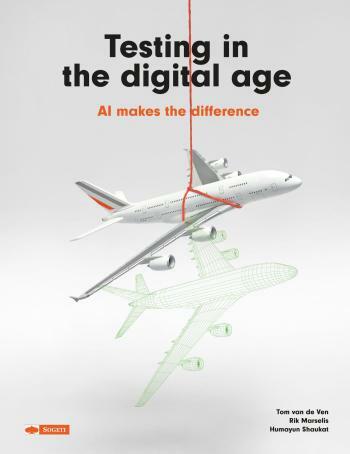 Testing in the digital age brings a new vision on test engineering, using new quality attributes that tackle intelligent machines and a roadmap split up in fi ve hops. With everything digital there are more possibilities for test automation and piles of (test) data growing out of control. Working together with robots (cobotics), using artifi cial intelligence in testing and eventually predict the occurrence of defects brings your testing to the digital age. We have interviewed companies on their view of digital testing. A glossary brings an extensive list of terms that supports you in all your test communications.